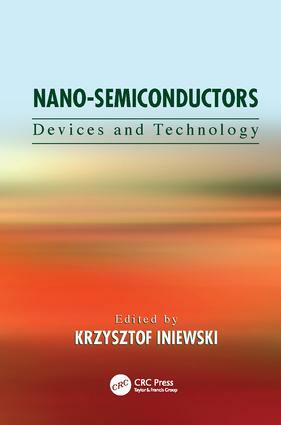 With contributions from top international experts from both industry and academia, Nano-Semiconductors: Devices and Technology is a must-read for anyone with a serious interest in future nanofabrication technologies. Taking into account the semiconductor industry’s transition from standard CMOS silicon to novel device structures—including carbon nanotubes (CNT), graphene, quantum dots, and III-V materials—this book addresses the state of the art in nano devices for electronics. It provides an all-encompassing, one-stop resource on the materials and device structures involved in the evolution from micro- to nanoelectronics. This reference explores the groundbreaking opportunities in emerging materials that will take system performance beyond the capabilities of traditional CMOS-based microelectronics. Contributors cover topics ranging from electrical propagation on CNT to GaN HEMTs technology and applications. Approaching the trillion-dollar nanotech industry from the perspective of real market needs and the repercussions of technological barriers, this resource provides vital information about elemental device architecture alternatives that will lead to massive strides in future development.